Elementary techniques of integration; applications of Calculus such as area, volume, and differential equations; functions of several variables, Lagrange multipliers. This course is intended primarily for students in the Social Sciences, but may meet minimum requirements for some Science modules. It may not be used as a prerequisite for any Calculus course numbered 1300 or above. Antirequisite(s) at Main campus: Applied Mathematics 1201A/B, Applied Mathematics 1413, Calculus 1301A/B, Calculus 1501A/B, Mathematics 1230A/B. If Calculus 1000A/B or Calculus 1500A/B was completed after September 1, 2016 it is an antirequisite, but not if it was completed before that time. 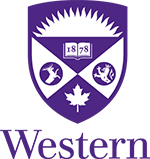 Antirequisite(s) at Brescia, Huron, King's campus: Applied Mathematics 1201A/B, Applied Mathematics 1413, Calculus 1301A/B, Calculus 1501A/B, Mathematics 1230A/B, Calculus 1000A/B or Calculus 1500A/B taken after September 1, 2016. Prerequisite(s): Ontario Secondary School MCV4U or Mathematics 0110A/B.